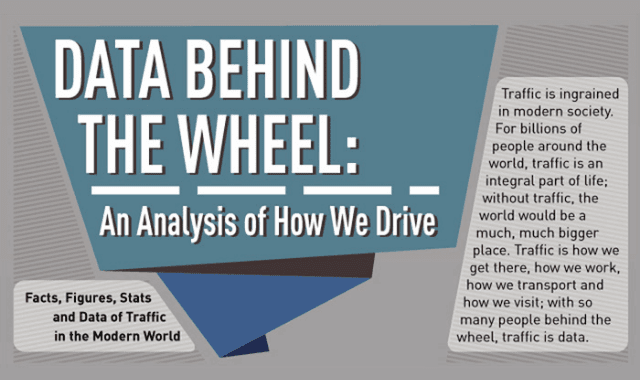 Data Behind the Wheel: An Analysis Of How We Drive #Infographic ~ Visualistan '+g+"
Traffic moves the world. Without the ability to drive, getting there would take that much longer, society would move that much slower, and the world would become a much larger and frightening place. This infographic delves into the data of the billions of people who get behind the wheel every day in the United States and around the world.